The Dominican Republic’s Riu Naiboa, in Punta Cana has completed a $12 million renovation that includes the property’s 362 rooms, as well as the addition of a new Italian restaurant and a new bar. Accommodations at this all-inclusive property in the Riu Hotels & Resorts portfolio now boast new baths, showers and liquor dispensers. 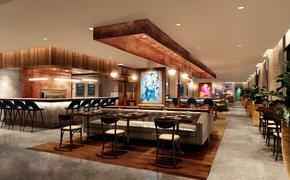 In addition, the resort has a new lobby, a renovated theater bar and a new bar next to the pool.